Andy Samberg & Rick Ross Cover 'Complex' June/July 2011. 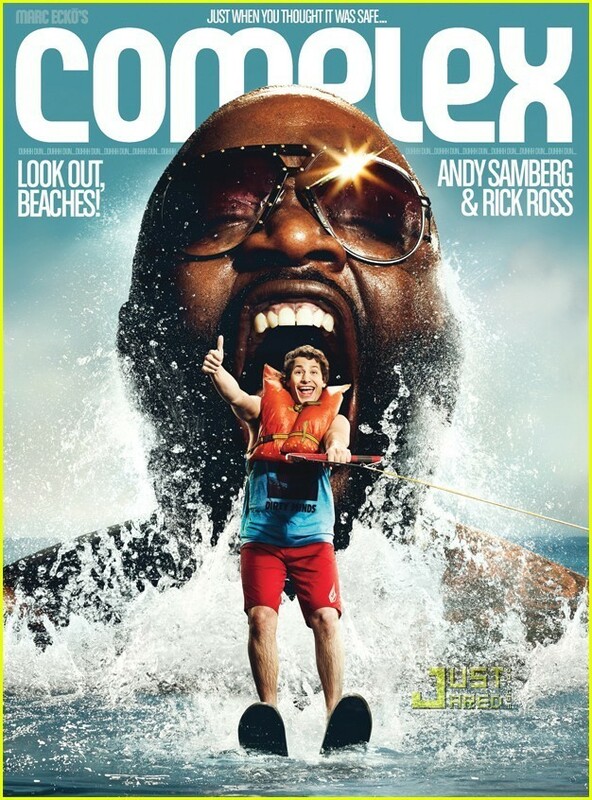 Andy Samberg and Rick Ross pay homage to Jaws 2’s poster on the cover of Complex magazine’s June/July 2011 issue!. HD Wallpaper and background images in the Andy Samberg club tagged: andy samberg andy samberg image. Andy Samberg and Rick Ross pay homage to Jaws 2’s poster on the cover of Complex magazine’s June/July 2011 issue!